Howdy! 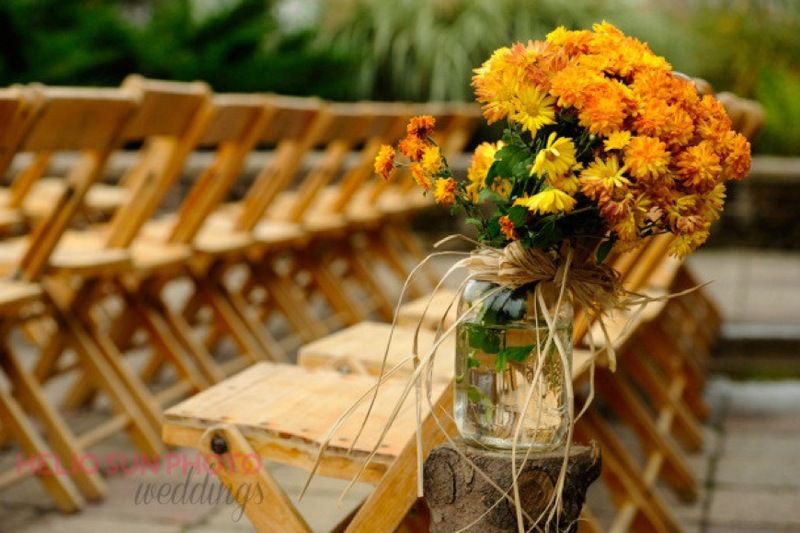 This post contains everything you need to know about decorating for your gorgeous ceremony at the Timberlodge. 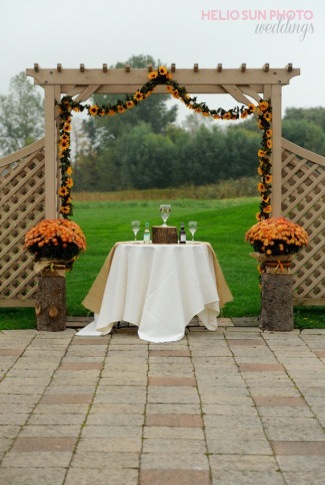 Typical trellis decor often includes fresh flower arrangements, potted plants, or draped fabric. 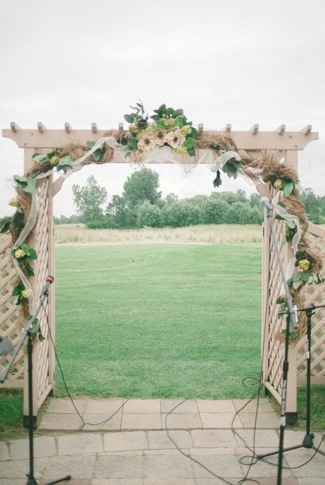 Above all, the trellis decorations will be the most prevalent in your ceremony photos. The trellis also makes a great backdrop for family photos, guest photos, and etc. after the ceremony. Click here to download and/or print a PDF of the wedding trellis dimensions. 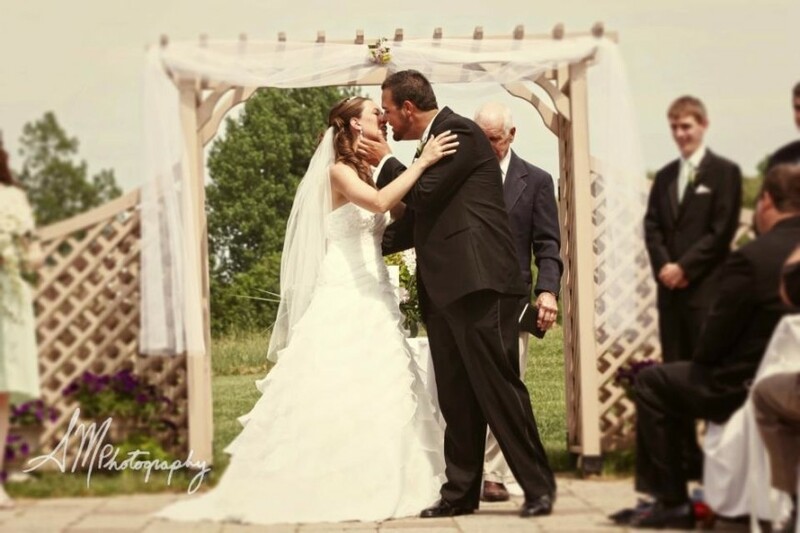 Photo courtesy of Jessica Ahren’s Photography. Photo courtesy of Dan Mohr Photography. Left: courtesy of Helio Sun Photo. Right: courtesy of Bridget Rochelle Photography via Style me Pretty. 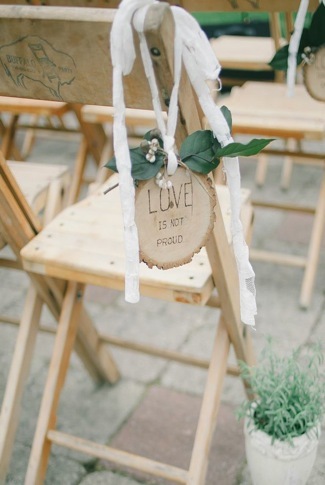 For the ceremony, we supply up to 150 wooden rustic chic folding chairs. 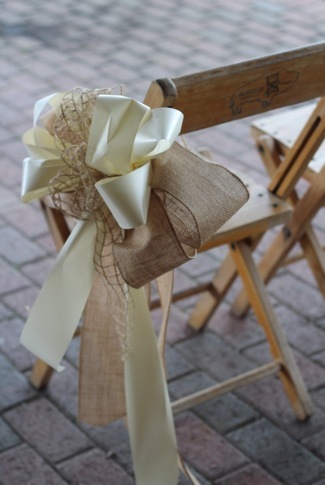 The aisle chairs are a great spot to add an extra decoration. We recommend something that would wire or hang on the side of the chair (there are typically anywhere from 7-10 rows). Left: courtesy of the Timberlodge. Right: courtesy of Bridget Rochelle Photography via Style me Pretty. From the dining room doors that the bride walks out of to the trellis is approximately 60′. If having an aisle runner, we highly suggest you bring something to weigh it down (being outdoors it will blow in the wind). 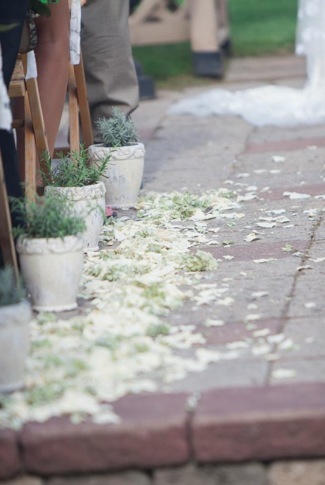 Artificial flower petals are not permitted, but real flower petals are a super elegant touch to sprinkle down the aisle (don’t do this until right before the ceremony). 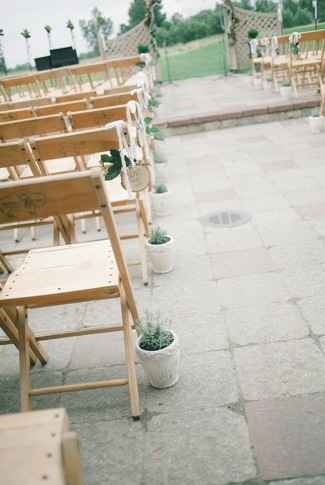 Potted flowers or plants also work seamlessly lined up and down each side of the aisle. Photos courtesy of Bridget Rochelle Photography via Style me Pretty. Photo courtesy of Helio Sun Photo. Just a friendly reminder, the setup of any ceremony decor would be your responsibility. The venue will not be ready for setup and placement of your items until the morning of the event- check with us a couple weeks prior for exact timing. All items brought in from off-site must leave the premises at the conclusion of the event.